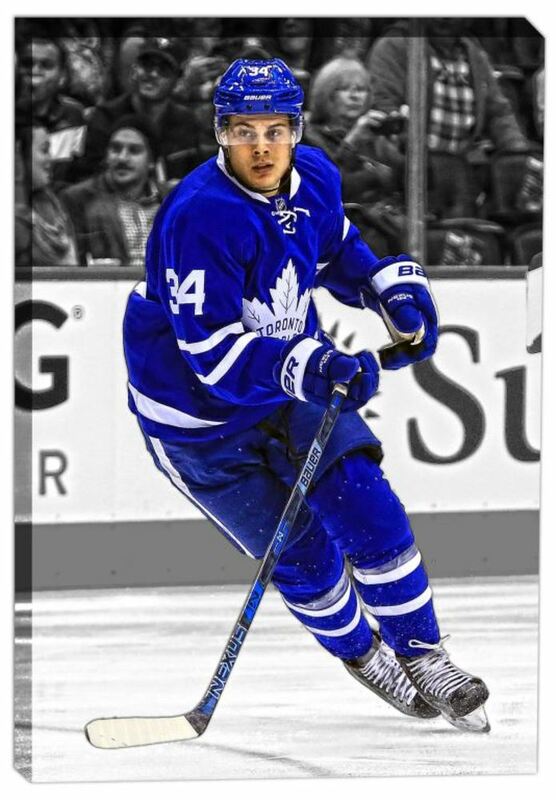 This image of Toronto Maple Leas number 1 overall draft pick Auston MAtthews has been printed onto high quality art canvas. The canvas is professionally stretched and mounted on to the back of a 1" deep wooden frame. Perfect for any home or office and a unique addition to any hockey collection. FINISHED SIZE 20sx29"